Fantastic Moves has been helping the local community since 1995. We work with many charities donating our time to assist with their fundraisers. Our contact page shows a few of these organizations. Our belief in giving back to the community bestowed upon us the Business Council For The Arts – Obelisk Award in 2014. 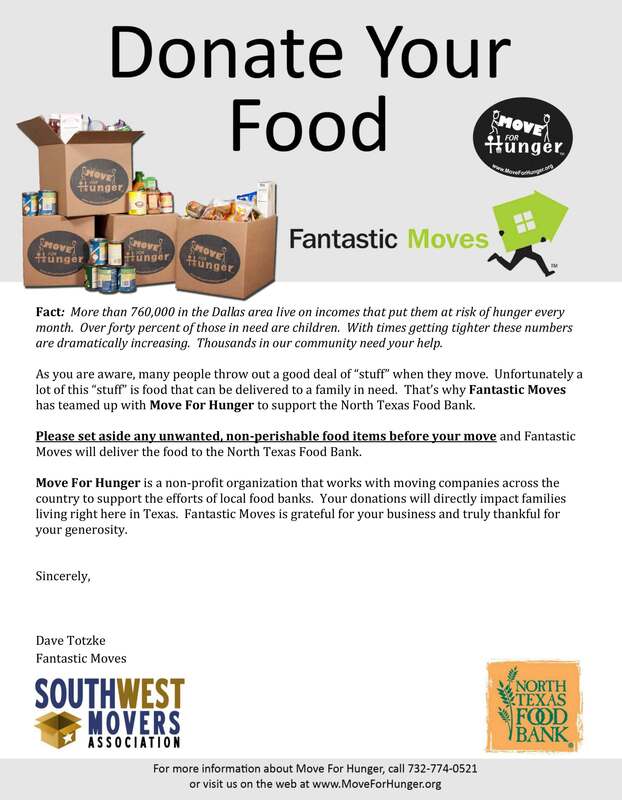 We continue to gather food and furniture items for local organizations and our Moving Association partnership with Move For Hunger.